The Sheffield Korte Joint Venture has been awarded a 24,000 square foot Design-Build facility through the U.S. Corps of Engineers. 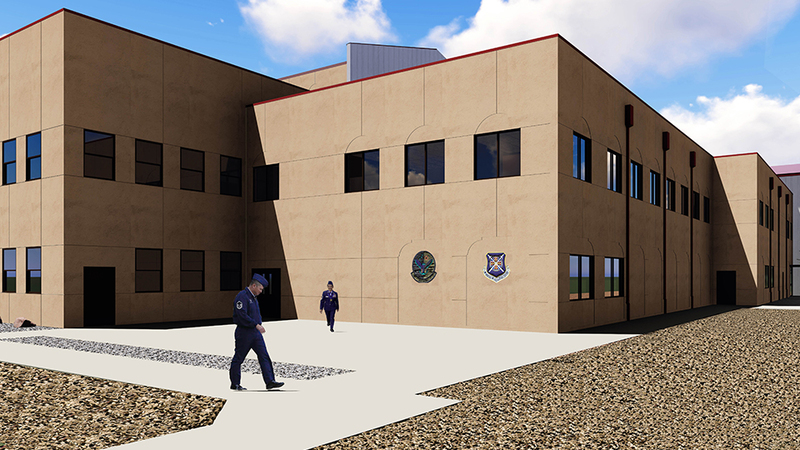 The addition for the 551st Squad Operations Facility at Cannon Air Force Base consists of a new multi-story operations and training facility. Cannon AFB is home to the 27th Special Operations Wing, which is assigned to the Air Force Special Operations Command. The 27th SOW plans and executes specialized operations using advanced aircraft, tactics and air refueling techniques to infiltrate, exfiltrate and resupply special operations forces and provide intelligence, surveillance and close air support in support of SOF operations. Construction is scheduled to begin in the summer of 2017, and will house administration spaces for the 551st Squadron. An auditorium, classrooms, and a full-length fuselage trainer are also included in the scope of work. The Squad Operations Facility marks the fourth project at Cannon Air Force base that The Korte Company has been involved in to date.